The weather has been cloudy but hot and still the last few days. We are supposed to be getting moisture blowing in from the Gulf of Mexico, and I am ready for the change! and tons of honeyvine (Cynanchum laeve). The bloom of honeyvine. There is a picture of the leaf in the honeybee picture below. 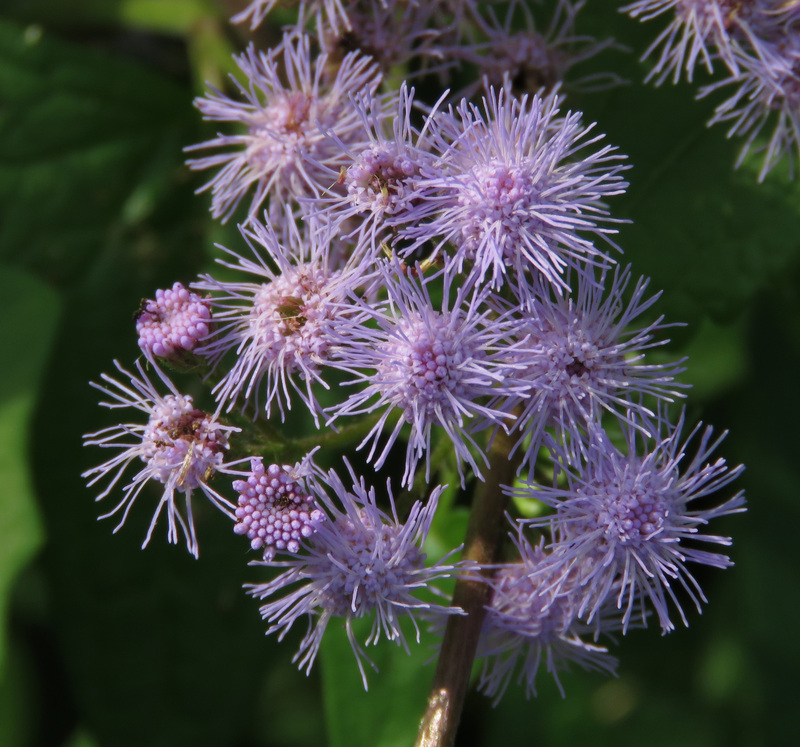 In looking up the Latin name for honeyvine, I found out that there are two other invasive plants that are so similar, that monarch butterflies will lay eggs on them. These plants are called black swallow-wort and pale swallow-wort, and they are even in the same family as honeyvine, but the caterpillars can’t live on them, and you can read about them here. So now I am feeling more grateful for the honeyvine. 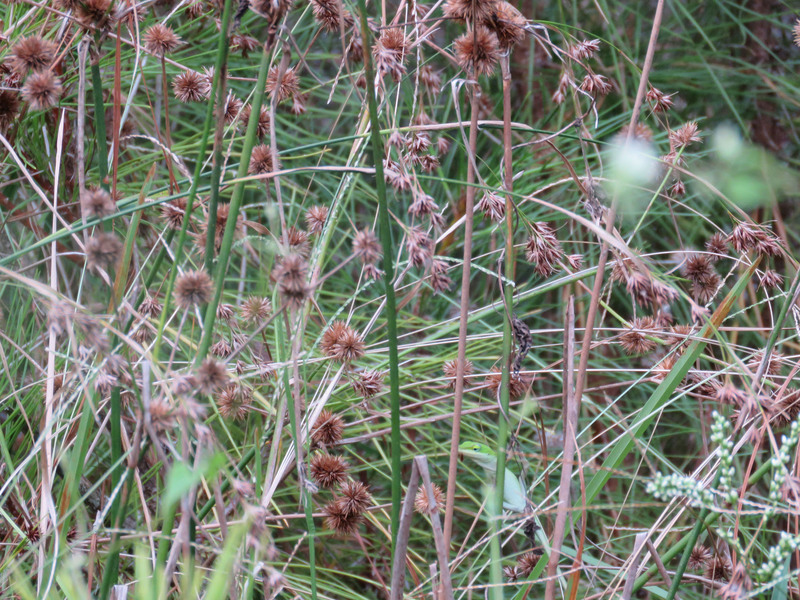 And a migrating monarch even came along and rested in a big bank of it, long enough for me to get some pictures. 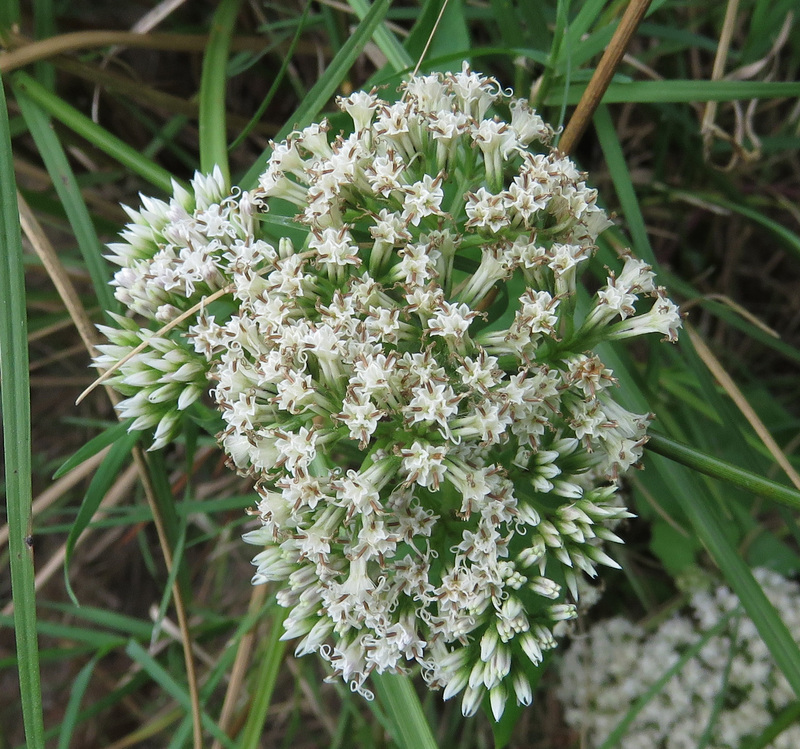 Although it looks like it was actually on swamp smartweed (Polygonum hydropiperoides) in this one. 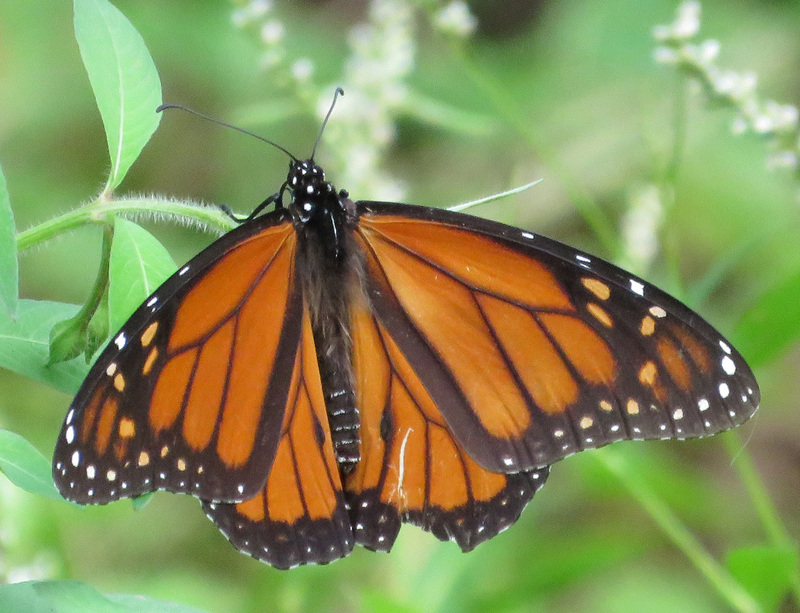 Monarch on honeyvine and/or swamp smartweed. I was really hoping it was tagged; I would love to find a tagged one and be able to report on its whereabouts, but this one was not. 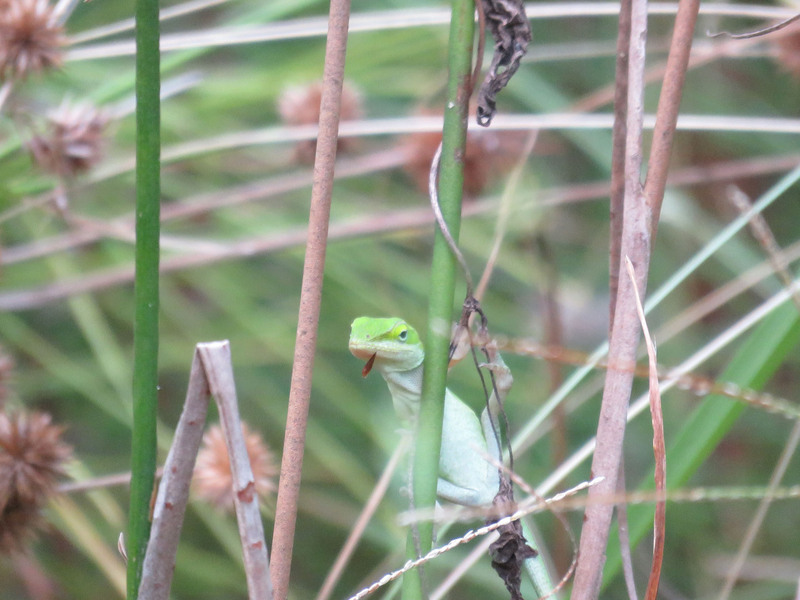 It was a little Green Anole. I zoomed in and what looks to be a bug’s wing was hanging out of its mouth. I got a few group pictures which I always like, especially when I don’t even see some of the subjects until I am looking at the pictures on the computer. 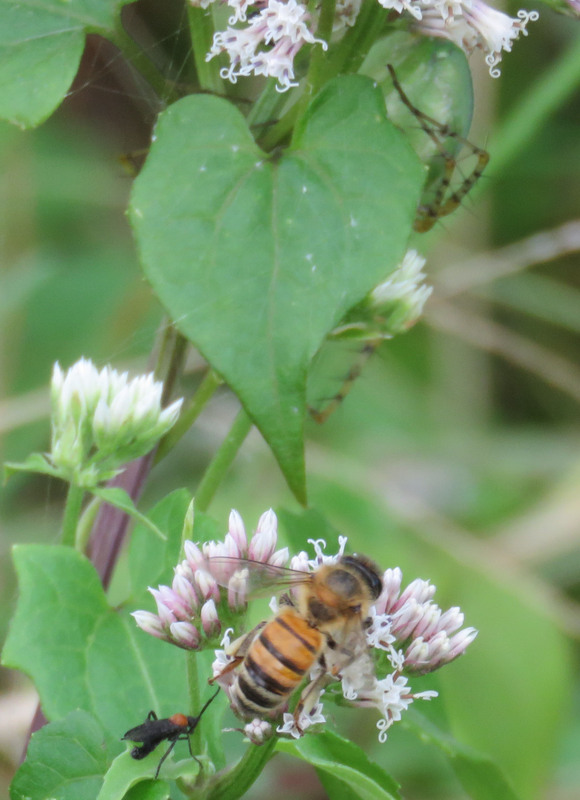 Honeybee and lovebug – and do you see the lynx spider lurking behind the leaf? 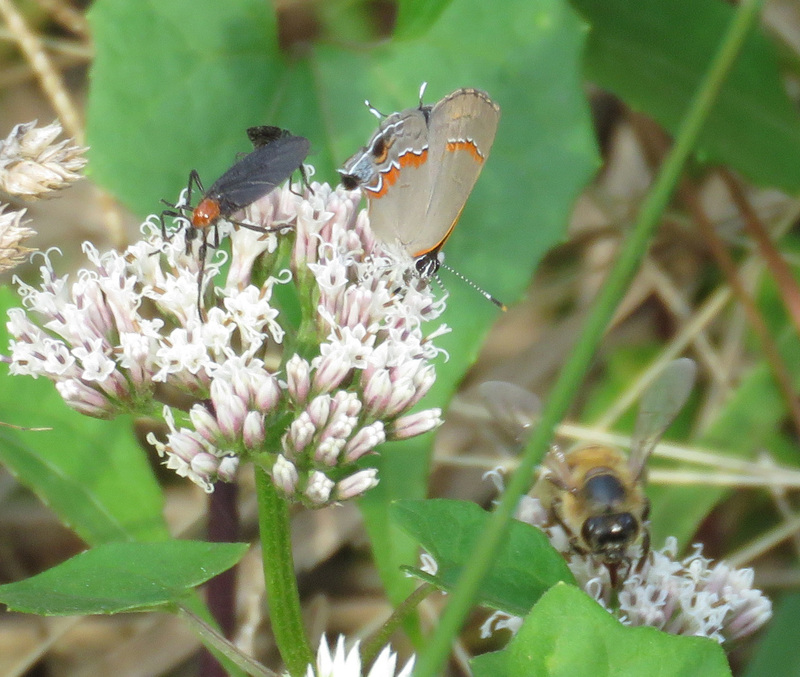 Red-banded Hairstreak butterfly, lovebugs, and American Bumblebee. 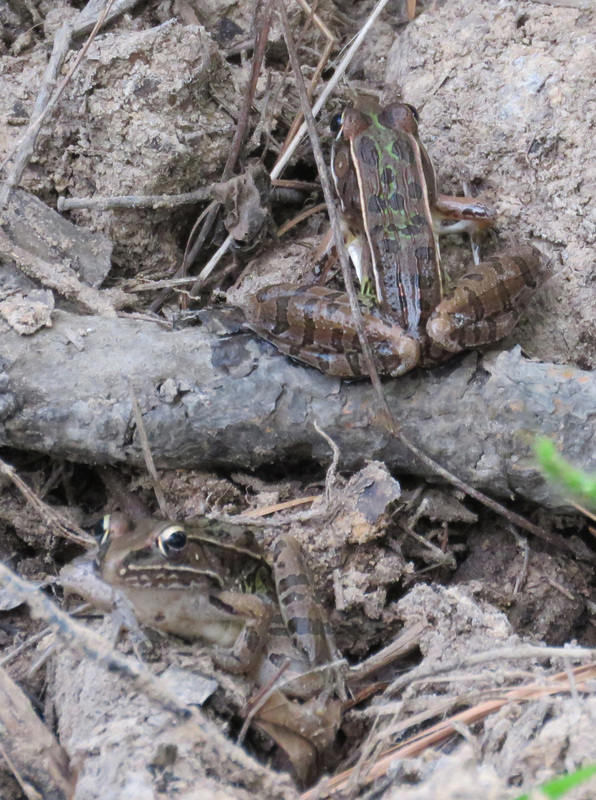 Southern Leopard frogs. I didn’t see the one on the bottom until I edited the photo. All of this was happening in about 50 feet along the creek, and there was a lot more that I didn’t manage to capture digitally! 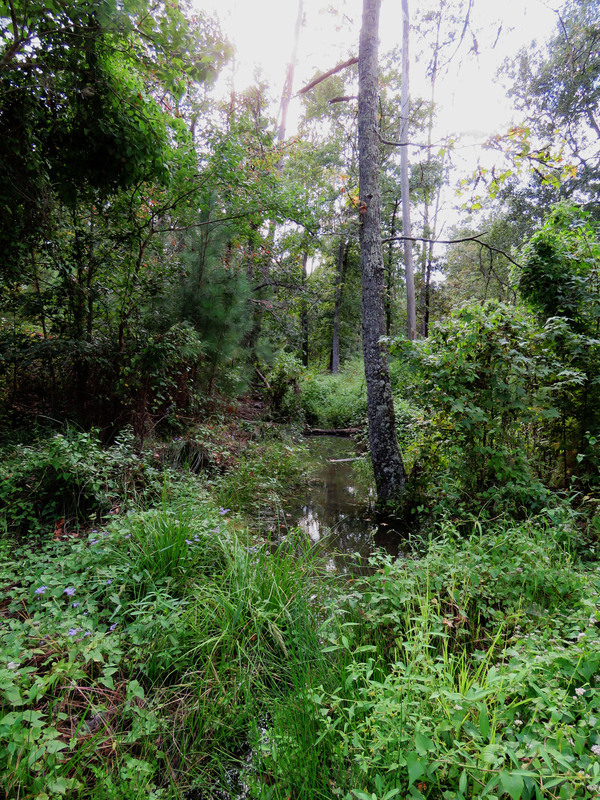 I am always amazed at the amount of activity going on in such a small space. Yes, you can never be lonely here because you know you are surrounded by lots of creatures, 2- 4- 6- 8- and no-legged! I am happy to send you a little bit of home!